The Bordeaux 2017 En Primeur is in full flow .. Yesterday was a rather strange day, even by the mercurial French standards. While most of the UK merchants where tasting the 2017 releases from some of the top producers in the shadow of Westminster Abbey, the Bordelais were banging out release after release much to the annoyance all of concerned! Most of the professional critics have now released their scores with the general consensus that the vintage is very good but clearly over shadowed by 2015 and 2016, not as good as 2005, 2009 and 2010 but broadly better than the rest this century. Château Langoa-Barton part of the famed Barton family dynasty from Saint-Julien, has been a stand out wine it its own right for a number of years. This 3rd growth wine from 17 hectares of prime Saint-Julien terroir, is full of elegance and finesse. Others of note include Château Ormes de Pez a '"don't ignore this" (NM) from Saint-Estephe, with a further mixed selection of merit below including Château Sociando-Mallet a perennial favourite . "I was very surprised by the relatively outstanding quality of the wines I have tasted so far … most of the top wine estate of Bordeaux made some outstanding quality wines that will deliver beautiful drinking for years ahead." "The 2017 Bordeaux vintage is a good to very good vintage, but it is not close to 2015 or 2016 in all but a handful of cases. 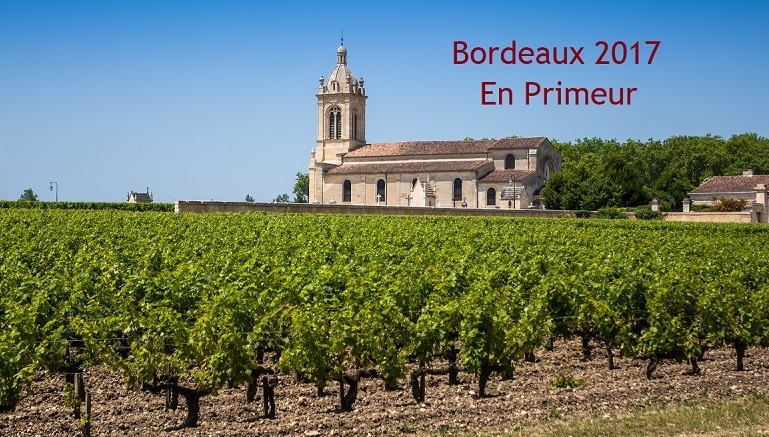 Some proprietors talked of a “2014-plus” which is pretty fair"
As you might be aware the 2017 vintage was affected by extreme weather in some parts of Bordeaux including a late frost in April, scorching temperatures in mid June, followed by rain in July and that mix proved costly for some producers. Allocations have subsequently been dramatically cut and those wishing to purchase this year will have to be quick off the mark! Those that survived the frost unscathed made the most of the favourable conditions during the rest of the growing season. That includes most of the best Cru Classé properties along the river. Despite several Châteaux not declaring a vintage in 2017, the wines of Sauternes & Barsac should be excellent however, there won't be much to go around .. If you are a sticky fan, grab a case when you can! The history of Langoa and Leoville Barton is the history of a family who have managed to preserve their inheritance for more than 2 centuries. From one generetion to another the wines produced by the two properties have maintained the quality of their classification, offering wines at the very top of their appellation. Anthony Barton was born at Straffan House in Co. Kildare (Ireland) in 1930. He was destined to inherit little or nothing of the family estates. His elder brother Christopher was heir to Straffan and the vineyards in France were owned by his Uncle Ronald who would normally have married and had his own children to whom he would naturally have left his property. Although Ronald did marry late in life he had no children and Anthony thus became his heir. After studying in England, Lilian started her working life in a bank in Bordeaux, then went to work for 2 years in a Hong Kong shipping company “Les Chargeurs Réunis ». In 1978, aged 22, Lilian joined her father in the business of trading. Since then, they divide responsibilities: Lilian manages trading activity "Les Vins Fins Anthony Barton," which has joined her husband, Michel Sartorius, and Anthony takes care of the vineyards. Lilian is now the face of Châteaux Langoa and Leoville Barton. At the time of the 1855 classification Langoa Barton, 3rd Grand Cru in Saint-Julien, were already owned by the Barton family. They share with only Mouton-Rothschild’s owners, the privilege of a long family continuity. The 17 hectares of Langoa, planted in gravelly soil with a clay sub-soil, include large proportions of old vines in order to obtain the best possible quality. The grape varieties for Langoa Barton’s terroir is shared with Cabernet Sauvignon, Merlot and Cabernet Franc. The wines are typical of the Saint-Julien area, well balanced wines with subtle bouquets and flavours; the emphasis being on elegance and finesse rather than on power and extraction. "The 2017 Langoa Barton was picked from 15 to 18 September with respect to the Merlot and from 22 to 29 September for the Cabernets, matured in 60% new oak. It has a ripe, brine-tinged bouquet, not complex compared to previous vintages, but pure and developing light smoke and truffle scents with aeration. The palate is medium-bodied with quite sharp tannin to create a tensile Langoa-Barton, saline with moderate depth, just a touch of pencil lead that surfaces towards the finish. It is exactly what I expected, which is a good thing given the track record of this Saint-Julien"
The following wines have also been released and are worthy of consideration ..
"The 2017 Vray Croix de Gay, now co-owned by the Artemis Group of François Pinault (see Château Latour) has an attractive, quite focused bouquet with mineral-driven red berry fruit laced with subtle iodine and marine aromas. The palate is medium-bodied with svelte tannin, gentle grip, well judged acidity with a sense of tension coming through towards the finish. This is a well crafted Pomerol that I envisage maturing with style. One to watch." "The 2017 Malartic Lagravière is dense, powerful and explosive. Succulent dark cherry, raspberry jam, chocolate, sweet spice and heavy toast notes give the 2017 its extroverted, racy personality. Malartic Lagravière is one of the more flamboyant wines readers will taste in 2017. Tasted four times." "This has absolutely wonderful richness and freshness with a saline note - I tasted it twice and it impressed even more the second time. It's a real success in the vintage, although it carries the signature of an austere, savoury-fruited year. Undergoing biodynamic conversion over the full 6.24ha, divided into 19 plots on south-facing slopes of the plateau. Jean Claude Berrouet consults." "The 2017 Sociando Mallet has quite a high-toned bouquet with macerated black cherries, boysenberry jam and top end violet scents. This is a more showy Sociando than of late. The palate is medium-bodied with soft tannin, moderate depth, a more refined wine than I was expecting with a smooth, supple blackberry and bilberry finish laced with white pepper. There is a word I never expected to use apropos Sociando Mallet...gentle"
"The 2017 Les Ormes de Pez was matured in 45% new oak with 13.42% alcohol. None of the vines were touched by frost. Cropped at round 50hl/ha, it has a clean, pure red cherry, blackcurrant and cedar-scented bouquet, more Pauillac in style than Saint-Estèphe. The palate is well balanced with ripe tannin that feel more malleable than previous vintages at this stage, a little saline in the mouth with a silky smooth finish. This will be delicious over the next couple of decades and I suspect it will be more approachable than the 2016. Don’t ignore this." The wines above are subject to strict allocation on a first come first serve basis, confirmation and remaining unsold. 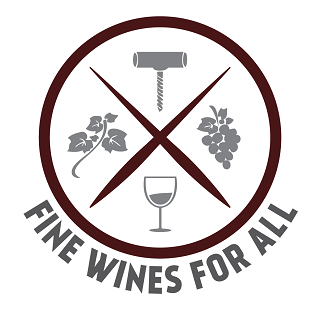 Different formats are available for most wines (375ml to 15L) at additional cost. Delivery is expected to commence in early May/June 2020.